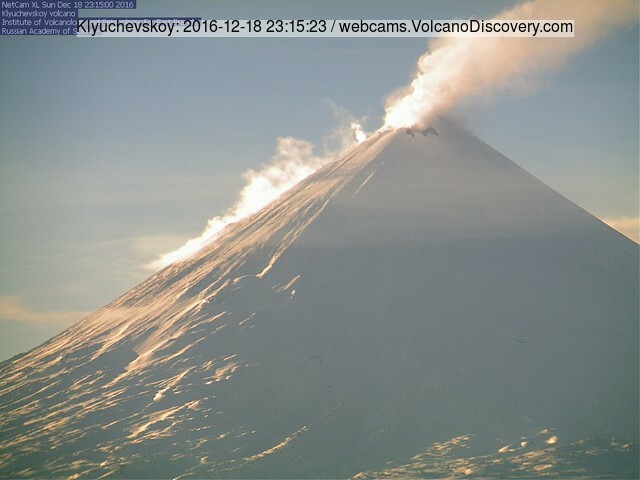 According to KVERT, the recent effusive-explosive eruption of the volcano ceased in mid November. A small thermal anomaly persists from the summit area. A dense steam column can be seen rising from the volcano. It cannot be excluded that minor activity (e.g. strombolian-type) still continues.